First of all, a huge shout-out to my talented designer (and beautiful sister) Chelsea, owner of Third Floor Design Studio, who put up with my endless emails of “should the menu be all-caps?” and “can the coral be a little paler and the background a little less solid?” and other such inane queries. 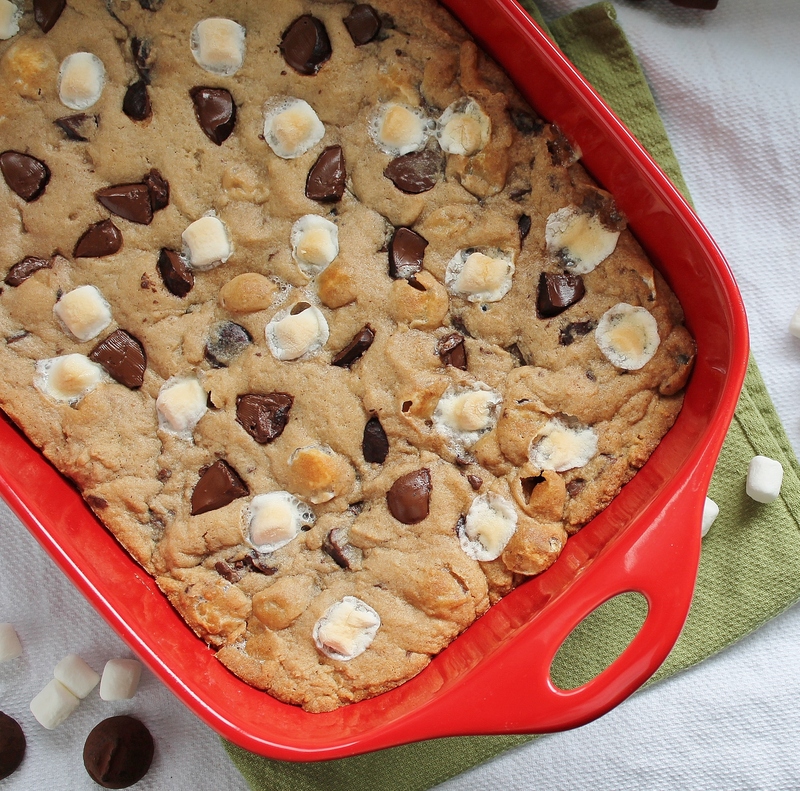 She deserves more than a few pans of Marshmallow Chocolate Chip Squares. 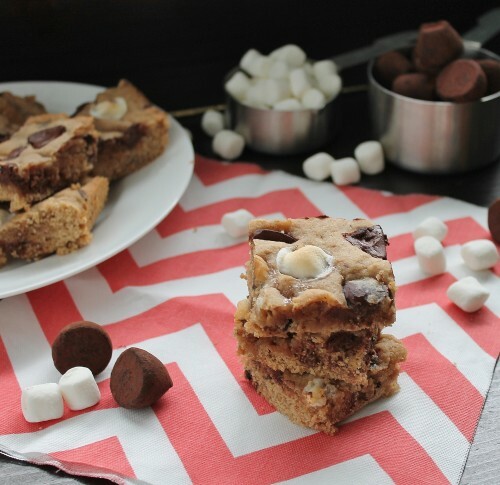 What makes these chocolate chip squares so great? Cream cheese and marshmallows. I love the ease of squares over cookies, and chocolate chip squares are so good fresh, but they have a nasty habit of drying out too quickly. I solved that problem in a kind of accidental way with chocolate cream cheese. Philadelphia cream cheese recently introduced a spreadable chocolate cream cheese, so naturally I had to try it. The grocery store had the large tub on sale for the same price as the small tub, so you can imagine which one I went home with. Unfortunately, it wasn’t quite as versatile as a breakfast food as I’d hoped (although it makes for a great apple dip), so I was looking for other ways to use it. My mom’s chocolate chip square recipe calls for 2/3 cup of butter, which is so annoying, right? Change that to a standard, simple 1/2 cup of butter, and add 1/4 cup of chocolate cream cheese (regular cream cheese works just fine too). Problem solved, deliciously. Then I found a bag of cocoa-coated truffles in my cupboard, which I love except for the cocoa coating which is just so not worth getting through. Chop those up into big chunks and they are so much better than regular chocolate chips! 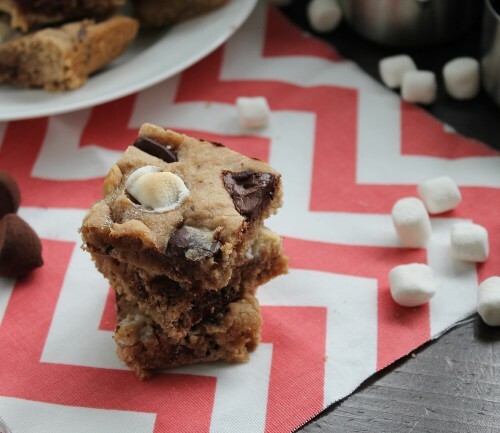 Sprinkle marshmallows in the dough for extra sweetness, reduce the granulated sugar so they stay chewy longer, and voilà – seriously good chocolate chip squares! The marshmallows in the batter just melt into oblivion, so you definitely want to stick a few into the top to make ’em look pretty and give a hint at the flavours that lie within. My family devoured these in record time, and I’m sure yours will too…and don’t forget to scroll below the recipe for giveaway details! A sweet, marshmallow-studded chocolate chip square that stays chewy for days. Preheat oven to 350 degrees Fahrenheit. Grease a 9x13" baking dish or spray with cooking spray. In large bowl with an electric mixer, beat butter and cream cheese briefly to combine. Add both sugars, eggs, and vanilla and beat for 3-4 minutes, until pale and very creamy. Add flour and salt to bowl and mix just to combine. Stir in chocolate chunks and marshmallows. Dump batter into prepared pan and spread it out with slightly dampened hands, pressing it as smooth as possible. Stick remaining chocolate chunks and marshmallows randomly into the dough. Bake for 22-24 minutes, until bars are just golden and juuuust set in the middle - do not overbake or they will be dry. Let cool completely before cutting into bars. Store in an airtight plastic container at room temperature for up to 5 days, or wrap well and freeze for longer storage. To celebrate the re-launch of the freshly designed blog, and because I planned to do a giveaway when I hit 1,000 Facebook fans and that got away from me, there are now TWO chances to win! Go big or go home, am I right? What will you win and who’s eligible? You’ll win a personalized surprise box! Once I’ve drawn the winner’s names, I’ll send out your special surprise package that will be delivered to your door anywhere in Canada or the United States. I can tell you it will contain a cookbook or two, some fun kitchen accessories, some treats, and just an all-round bit of this and that. I love getting mail, and I want to spread that love to two of you. How to enter: There are two ways, and there will be two winners, so you can enter in both places! First, you can enter by leaving a comment on this post saying anything that pops into your head. I also recommend telling me your favourite colour and favourite snack – this info may come in handy if you’re having a personalized box put together for you, right? Second, you can enter on Facebook – simply share any one of my recipes on your own Facebook wall and then comment on the Hidden Ponies page letting me know which post you shared! You can enter this way as many times as you like, just make sure you comment on the Facebook page every time to let me know so you get the extra entries. The giveaway will be open for one week, and you can enter as many times as you like on Facebook, but only once via the comments here. Can’t wait to see who wins! Thanks so much for reading and enjoy exploring the new look! Your new blog looks great! My favorite color is purple and my favorite snacks would have to be chocolate (the darker, the better) and cinnamon buns and the like (twists, cakes…). Love the new look!! Your recipes are great! I love the colour blue. I usually eat fruit for a snack or yogurt and granola, but I can’t deny my love for chocolate and muffins and potato chips, if they are in the house. By the way, your granola recipe is amazing — I have made it probably a dozen times! Looks GREAT! Thankful for the new recipes to keep me inspired! Don’t really have a favourite colour…and anything chocolate is nice! Looks great, Anna! Fresh and springy! 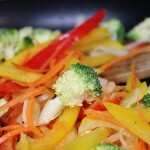 I think I enjoy your writing as much as your recipes! You’re gifted with words and ingredients! Favorite snack? salted pistachios or chocolate….preferably both together! Favorite colour? Teal. First thing – loving the sunshine outside my window. Love orange and chocolate. Recently I’ve been baking/making lots of wheat, dairy, refined-sugar, beef and pork free stuff. Congrats on the new look and reaching 1000 FB fans! My favourite colour are green and blue. My favourite snack has to be chips or anything salty! Love the new site! favourite colour is mint green and favourite snack is cheesecake! 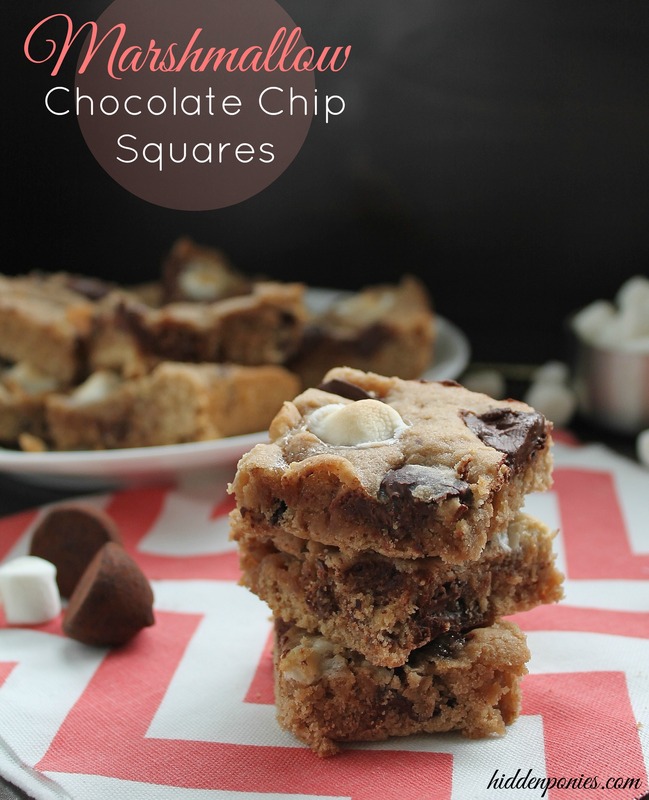 I cannot count the number of chocolate chip square recipes that I have tried – every one of them DRY! If I had marshmellows in my cupboard I would be making these squares this moment! I’m a sucker for green (the exact one on your new site) and I love candy and chewy brownies! I like the look of the site a lot and these little bars are perfect for summer baking with kids fun. I’m glad you’re back! 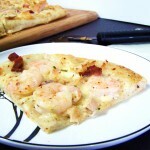 I really needed an appie recipe and I knew you would not dissappoint! 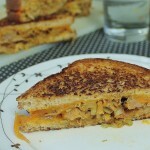 I love your blog, every recipe I’ve tried from here has been great! I try most of your recipes and my family loves them all. I LOVE LOVE LOVE your new blog design! Thanks for the fun giveaway! My favorite color is pink!! I love the new look, Anna! Your sister did an amazing job! Yay, you’re back! :) I’ve been checking almost every day to see if you were up and running yet! The new website looks great – it definitely looks very fresh. Pretty sure you know my favourite colour as you were in my wedding and you’ve seen my new laundry room. :) And as for favourite snack, anything you make without banana is always good with me! :) Love you! Anna I love the new look! Your site looks fantastic! :) My favorite color is pink and my favorite snack is anything with nuts and chocolate! I love the simplicity of the new site! And the colors… Good choice! My favorite thing about your blog is reading your witty posts. There’s always something that makes me laugh out loud. :-) I still love pink, although I’m more into coral lately, and chocolate always makes me very happy -especially the sea salt stuff that Carl introduced us to… :-) Oh, and this recipe looks simply divine! Can’t wait to try it! Love the new look! I was just thinking the other day that I’ve missed seeing your posts pop up in my email, so it’s nice to have you back. Chocolate is a huge hit in our house, as are cookies and muffins of almost any variety. Thanks for the chance to win…I’d love some personalized surprise mail. Love the new site! Big fan of green :) Love the fact that you also feature GF recipes as my family is celiac and I’m always looking for new recipes! By the way, I love cheesecake and chocolate ;) Keep up the good work, looking forward to more amazing recipes! All my favorite colors are showcased on your updated website! It looks fantastic and is much easier to maneuver through:) hmm… requesting an eight month pregnant mama to choose her favorite snack, not an easy feat for me to decide but I narrowed it down to four:) lemon squares, your moms chocolate chip peanut butter cookies that I’ve never managed to duplicate, your vegetable muffin recipe and lastly, cheezy bacon warm appetizer dip. Mmm yum! PS I meant to give this recipe more than 3 stars but my phone was having a moment .. Your new site looks great! I enjoy trying all your recipes! I like turquoise and pink. My favourite snack is chocolate and cookies. Love the new look! Always love your posts, a little laughter and great food, two things i love! Love the new look. My favorite colors are green and purple, and favorite baked snack would be cupcakes, preferably with cream cheese frosting. These look delicious… And I love every color, but I love purple and teal… And all things sour! Loving the new website! I’m in love with turquoise these days, and of course anything chocolate I wouldn’t pass up too quickly! Loving this new fresh look! Snacks…..Tostito’s with homemade guacamole, chocolate marshmallow bars. Definitely need to try this recipe above! Hope your weeks turn out more “normal” soon. 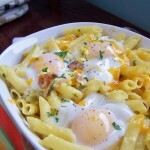 Many of your recipes have been added to my repertoire! My favourite colours these days are teal and orange and my favourite snack is chocolate! i love the colors of your site, who doesn’t love coral right? it’s such an inviting color, so congrats ! i love your recipes & this one sounds soooo good. my favorite color is purple & i love chocolate, coffee, tea & greek yogurt. thanks so much. WELCOME back!!! I have missed your updates and a little look into your kitchen and your life!!! I would love to win… but I noticed that you don’t mail to Australia :) …. BUT I am coming… so you could always hold it for me!!! :) Favorite colour is Green… and food… well… I love any snack really… but….!!!! Found your blog from a share for this giveaway and now have bookmarked your page. I can see myself coming back for ideas, in fact I’m writing down the things I need for this recipe right now (…chocolate cream cheese….:D). Keep up the great work! And…my fav. colour is red and my newest favourite treat is Hello Dolly Bars! Love the new site. Really looks great! I love anything pink and/or chocolate. Love your recipes…My favorite color is PURPLE and my favorite snack is CHOCOLATE…YUM! I love the new look! So fun and fresh! I have always had trouble picking my favorite colors, foods and such. I have too much to love to narrow it down to one, or at least that’s what I tell myself :). How about we go with blue (my childhood fave), and chocolate (you can’t wrong with chocolate). The new blog looks great! I am a sucker for a deep purple. I enjoy savory snacks, but also love a sweet treat now and again. One of my favourite posts from you are the Lemon coconut mini pies. I shared that one on face book. Yum! Your site is the first I check when needing a new recipe. 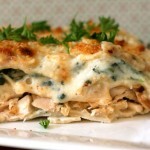 Have used lots of your recipes and have a bunch pinned to try soon too. I like the colour purple. Two of my favourite baked snacks are nanaimo bars and brownies. Yum! Loving your recipes and glad to see you back online! Wow – these bars sound delicious. I can’t wait to try them, which will probably be soon since I love to bake and the weather is cooling off again. Green is my favorite color, I love my dogs and have recently discovered that I love the scent of lavender. Hooked on Bath & Body Works Lavender Vanilla Pillow Mist. Nice looking website, Anna! My favourite colour for the kitchen is green and yellow. My absolute favourite food are your mothers’s scones and a nut bar (butter cookie-like base with different nuts on top held together with a not too sweet glaze) at a coffee shop in Steveston. I love to bike in Steveston and the first stop is a coffee with a nut bar eaten outside on the dock! So glad you’re back! Definitely my go to site for all things baking. Favourite colour – I’m so fickle, but I’d go with fuscia for today :) Favourite snack – I’m a fan of muffins and cookies, and a real sucker for a good cinnamon bun! The blog looks great! I am a sucker for savory over sweets, and my favorite color… turquoise? Purple? Beautiful, the new site looks wonderful and those bars look delicious!! Love the new look! I’m thrilled you are back…a couple times I was itching for some food inspiration :) Favourite colour: turquoise Favourite snack: I’m a total sucker for chips :S gasp!! 2)Anything with chocolate of course!!! Grey and White… I love any fruit right now, aka baby loves fruit right now. Very fun giveaway, Anna! Looking forward to seeing who wins! Are family members exempt from entering? ;) Looks great Anna! Missed you on my computer too!